Food policy takes a back seat in electoral debates, but as a political topic, it’s every bit as important as education reform or economic recovery. Control over someone’s food is control over their body. For an individual, this can make the difference between a life of health and a life of illness; on a public policy level, it has serious economic consequences (in 2008, the medical cost of obesity in the US reached a staggering $147 billion). But numbers aren’t the only reason why food policy is so important. Because food also carries so much cultural meaning, the power to regulate food is also the power to regulate social life: imagine how differently our society would work if fast-food restaurants were abolished. Since the stakes are so high, everyone can agree that food policy is important. Unfortunately, the consensus ends there. Everyone has an opinion on food, and everyone’s opinion is different. Many vegetarians, vegans, and advocates of a conventionally “healthy” low-fat diet are honestly trying to help. On the other hand, agricultural and animal farming lobbyists are trying to protect industry profits, regardless of the cost to human health. Out of this swirl of conflicting opinions come the USDA dietary guidelines: whole grains, fruits and vegetables, less fat, less cholesterol, and less sodium. Since the 1970s, government food policy has been aimed at promoting this style of diet for weight loss and overall health – but increasingly obviously, it isn’t working. This should come as no surprise to anyone familiar with Paleo. Government nutritionists might mean well, but good intentions don’t necessarily lead to good policy: the USDA recommended diet is fundamentally removed from the way humans were designed to eat. In response, some Paleo advocates argue for changing the system from within: getting public health officials to realize the truth about diet and make food policy accordingly. Others contend that the real issue is not which particular type of diet is being promoted; it’s that the government has no right to legislate anyone’s diet at all. The online Paleo community tends to lean slightly libertarian, but a Paleo diet is compatible with the entire spectrum of political opinions. 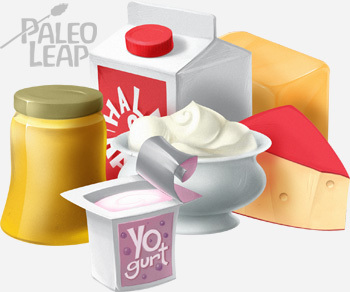 This article isn’t the One True Guide to Paleo Food Politics. Rather, it’s an introduction to the major areas of public food policy that probably affect your diet, a resource to help you stay informed or lead into further research on one or more of the issues. The background player influencing so many other food decisions, farm subsidies are government programs that encourage farmers to grow more of a particular type of crop. Different crops are subsidized in different countries – most countries focus on staple foods (rice in China, wheat and corn in the EU, and so on). In the United States, corn, wheat, rice, soybeans, and other cereals and legumes are heavily subsidized by laws that provide a “price floor,” meaning that if the price of a crop falls below a certain rate, the government will pay the difference. Passed when food scarcity was a serious problem, this legislation was originally intended to prevent hunger, but it has continued far beyond its useful life due to massive agricultural lobbying efforts. The vast majority of federal subsidy money goes to “junk food” crops like wheat and potatoes, with only a tiny fraction supporting fruits and vegetables. The effects of these subsidies are much debated. They do make subsidized crops cheaper, but whether this actually has any meaningful effect on individuals’ behavior is up for debate. It seems logical that making food cheaper would encourage people to buy more of, but the effect of agricultural subsidies on food prices is actually barely significant on a household level. On the scale of mass production, however, even tiny differences in price can mean thousands of dollars: Coke in Europe is sweetened with sugar, but Coke in the United States is sweetened with high-fructose corn syrup, because in America, corn is so heavily subsidized that corn syrup is much cheaper for the Coca-Cola company to use. Even if they don’t directly encourage unhealthy consumer behavior, the current farm subsidies do plenty of other economic and environmental damage. Most of their funding benefits giant producers, rather than small family farms: approximately three-quarters of farm subsidy money from 1995 to 2010 went to the top 10% of farmers. These massive agricultural operations release a steady stream of toxic pesticides and herbicides into our water supply, and the food that they grow is often used to feed animals raised under shockingly cruel conditions in factory farms. Whether you think farm subsidies should be abolished altogether or simply revised to encourage human and environmental health, their current effects are clearly dangerous. School food is an increasingly debated food policy issue, because eating habits start young: school lunches (and breakfasts, for students who participate in school breakfast programs) can have an enormous influence on how children learn to eat. With 17% of American children now obese, starting children off with healthy diet patterns has become more and more important. In most countries, the current state of school food is problematic by anybody’s standards. Cafeterias often operate under very tight budget constraints, so they have to use the cheapest food they can find. 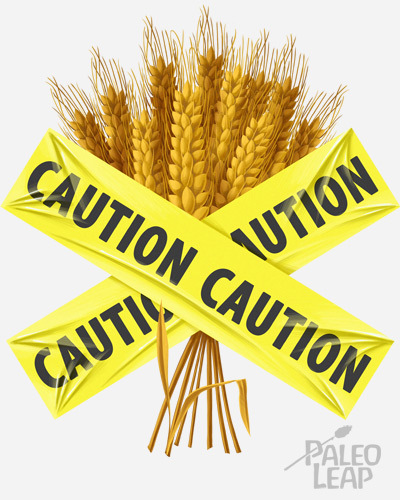 In the United States, this means that schools become dumping grounds for the excess wheat, corn, and seed oils that federal subsidies encourage farmers to grow. Meat options are no better – the notorious “pink slime” was hardly unique. Start with these poor quality ingredients, add the need to create mass quantities of food quickly, and the stereotype that kids “won’t eat vegetables,” and you have a perfect recipe for lunches high in calories but low in nutrition. The new guidelines do require more fruits and vegetables, but in many ways, they’re also harmful, prompting schools to switch to an even greater reliance on grains and dairy, and limiting servings of meat. For a truly Paleo lunch, your kids will almost certainly have to bring their own, even in schools that try to serve “healthy” food. For Paleo parents concerned about their children’s lunch options, though, the new regulations do open up an opportunity to talk with school administrators about cafeteria nutrition, to make your voices heard, and introduce the idea that there might be more to health than the USDA would like to admit. In some countries, government assistance for needy families comes in the form of cash with no restrictions on how it can be spent. In the United States, however, food assistance programs provide money specifically for groceries. Distributing this money to needy families has inevitably led to an ongoing argument about what it should buy. Opponents of welfare programs love to point to “welfare queens” wasting their food stamps on beer and candy, while supporters worry that the real problem is a lack of available and affordable healthy food for those who need it. The actual policies about what government food assistance can and cannot purchase vary by program. 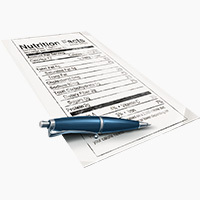 Benefits available under the Women, Infants, and Children (WIC) program are designed to steer recipients towards the “healthy” diet espoused by mainstream nutritional science. WIC money may be used for fruits, vegetables, whole grain products, baby food, and a variety of cereals and fruit juices. On the other hand, SNAP benefits have many fewer restrictions: the only prohibited items are alcohol, tobacco, nutritional supplements, and pre-made hot foods. New York mayor Michael Bloomberg’s request to add soft drinks to that list was recently denied. In 2004, Minnesota made an even more extensive request – to prohibit recipients from using food stamps for all kinds of junk food – but this was also denied. Laws and policies explicitly designed to change everyone’s dietary habits are some of the most controversial food policy decisions, because they’re felt the most directly. Corn subsidies have a huge effect on most people’s diet, but they’re not immediately visible or obvious unless you choose to think about them. Similarly, people who aren’t receiving government food assistance or don’t have children in school don’t feel very affected by laws concerning those groups. But laws like the “fat tax” in Denmark or California’s trans fat ban directly and obviously affect everyone who eats – in other words, all of us. Some countries have coherently organized and structured anti-obesity programs, like Japan’s nationwide efforts to curb metabolic syndrome under the “Metabo law,” which mandates employer intervention to keep all adult workers at a healthy weight. Other countries have no comprehensive program, but rely on a patchwork of various taxes on “unhealthy” foods, subsidies for “healthy” foods, information campaigns, labeling regulations, and other miscellaneous attempts to steer citizens toward a conventionally “healthy” diet low in fat and high in whole grains. One recent example is New York Mayor Michael Bloomberg’s recent efforts to limit beverage sizes for soft drinks. Some people think that the problem with these laws is simply their goal: since research clearly proves conventional wisdom wrong, we should instead shift our focus to promoting a Paleo-style diet. Others argue that the laws themselves are inappropriate: the government has no business telling anyone what to eat, and should allow everyone to decide individually. Regardless of what the specific problem is, however, much of the current anti-obesity legislation is clearly not Paleo-friendly. And the people writing it seem determined to keep it that way, as one Paleo practitioner in North Carolina found out firsthand when the North Carolina Board of Dietetics/Nutrition ordered him to stop distributing information about Paleo and diabetes without a license. The American Dietetic Association (ADA) seems to be making consistent attempts to shut down its competitors through legislation. These laws probably have more to do with protecting ADA profits than with saving innocent bystanders from the supposed evils of any particular alternative diet. Nevertheless, they represent a serious and deeply concerning attempt to shut down nutritional debate and keep national anti-obesity efforts firmly grounded in conventional wisdom. Another serious topic in food policy is the ecological ramifications of our food system: how does modern agriculture affect the environment, and how can we feed ourselves without creating an ecological catastrophe for future generations? Avoiding grains, legumes, and other harmful foods is one way to prevent food toxins from harming our bodies, but we can still get sick from hormones and antibiotics fed to the animals we eat, pesticides and herbicides on our fruits and vegetables, and water contaminated with agricultural waste. These environmental pollutants have a serious impact on human health. In the US, the Clean Air Act and the Clean Water Act are supposed to prevent industrial farms from damaging the environment; unfortunately, the enormous agricultural lobby in Washington has successfully prevented legislators from doing anything that would cut into profits. For example, in 2012, lobbyists successfully persuaded the EPA to withdraw a proposed requirement that factory farms (technically known as Concentrated Animal Feeding Operations or CAFOs) provide the agency with basic information to help it prevent and control water pollution. Instead, the EPA switched to a voluntary reporting system, meaning that CAFO farms aren’t held to any standards that they don’t want to meet. Food is political. Even if you base your diet exclusively on personal health, you’re voting with your dollars, making a political statement that health is more important than convenience or cheapness (and if you base your choices exclusively on price, you’re affirming the opposite). Every food choice that you make has some effect on the political and economic systems in your region and your country – nobody is magically absolved of responsibility because they don’t want to think about the consequences of their decisions. As far as food politics goes, eating a Paleo diet is itself a fairly radical position. When you choose grass-fed and humanely treated meat, or organic and local produce, you’re taking a stand against industrial agriculture and factory farms and, using the only language they can hear: money. It doesn’t feel like much of a contribution to spend $8/lb on grass-fed beef instead of $4/lb on factory farmed beef, but if you eat 2 lbs. of beef every week, that’s $832 per year. That’s more than enough to support one additional grass-fed cow (each grass-fed cow costs approximately $769 to raise). As well as making food choices in alignment with their political goals, some people choose to get even more involved by volunteering for political organizations or campaigning for agricultural and environmental issues. One important way to contribute that doesn’t require a lot of time is just to stay educated on your local food policy issues, and encourage everyone else in your life to educate themselves as well. If you live in the United States, you can look up food subsidy laws in your state here. Get involved with your local Slow Food chapter, or use the advocacy toolkit from the National Sustainable Agriculture Coalition. The Environmental Working Group also has an action center listing recent issues in food policy and what you can do to help. You could also get in touch with food banks, and soup kitchens in your community to help provide healthy food to those who need it most, or volunteer to help on a local organic farm. If food policy is an area you’re interested in exploring as a career, you could also go even further. One Paleo fan, Sarah Johnson, is even the assistant to the New York State Council on Food Policy – although she admits that promoting the USDA Food Pyramid guidelines clashes in certain respects with her Paleo principles, she currently works in the Farm to School Program, which helps bring fresh vegetables into school cafeterias. It might not be entirely Paleo, but it’s definitely helping. With rates of diabetes and obesity continuing to rise, food policy is likely to become more and more important as people in the industrialized world finally start to worry about the effects their diet and lifestyle have on their bodies. Whether or not you agree, most governments in the developed world see public health as a legitimate object of regulation, making food policy a problem that none of us can afford to ignore. Public concern with nutrition provides a golden opportunity for serious conversations about modern food systems: how they work, what their effects are, and whether they will lead to a world any of us want to live in. And if you have the time and energy, these conversations about the problem can help you get involved in the solution. You don’t need to march out to a factory farm and chain yourself to a cow to be a food activist: just eating a Paleo diet is a political statement in support of clean, unprocessed food and against the toxic products of conventional agriculture. You could also try volunteering to bring a healthy snack for one of your child’s activities, donating organic produce or grass-fed meat to someone who needs it, or writing a letter to your representatives. Everything you do, on any level, will help support a healthy, nourishing food culture for you and everyone around you.